Blink Financiele Diensten – Visual / UI & UX Design. Blink Financiele Diensten, a small-scale administrative office located in the beautiful port of Joure. Personal contact, short lines and integrity are the spearheads of their philosophy. During the project I worked on the Visual / UI design aspect of the website as well as making it as easy as possible to convey the necessary information to potential customers. Designing and creating a website which portrays necessary information in an aesthetically pleasing manner for the customer. 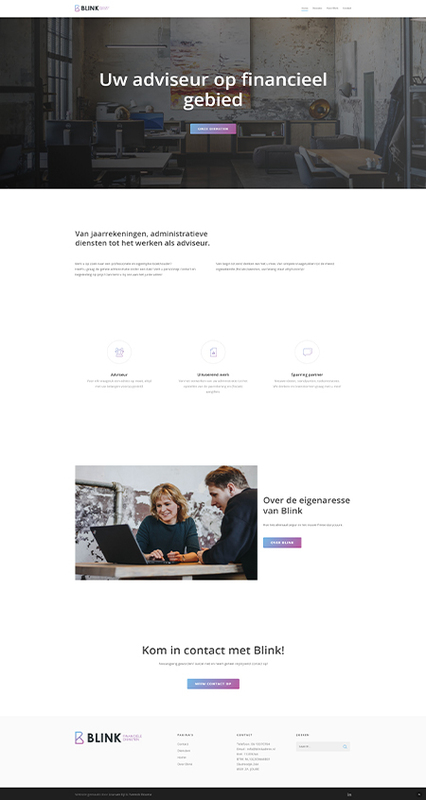 Blink Financiele Diensten, based in Joure, Friesland.